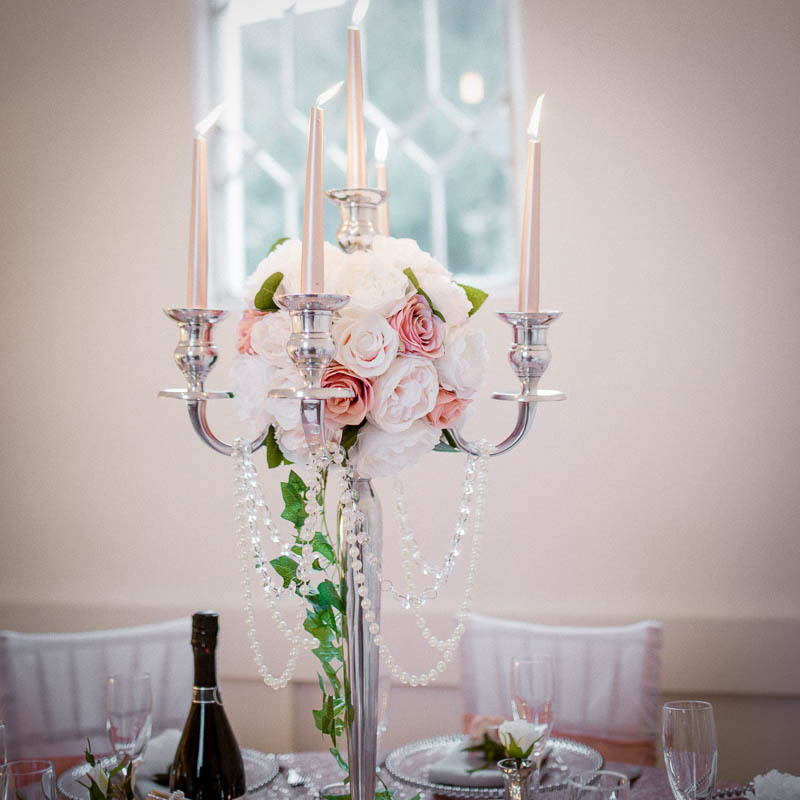 We hire and set up wedding table centrepieces in Essex and the surrounding areas. 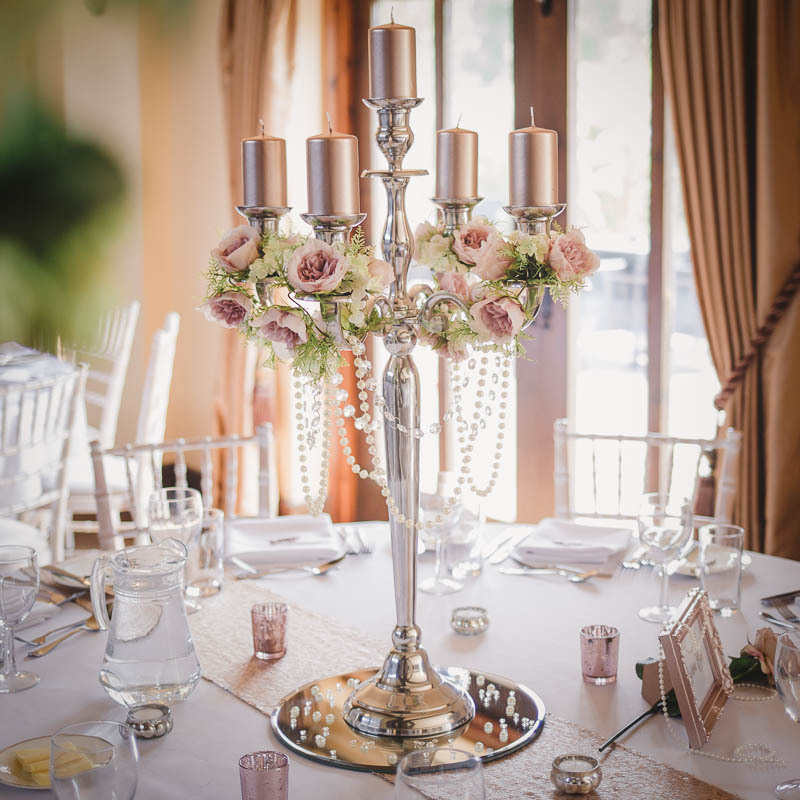 We have a vast range of wedding table centrepieces available to fit a number of themes, styles and colours. 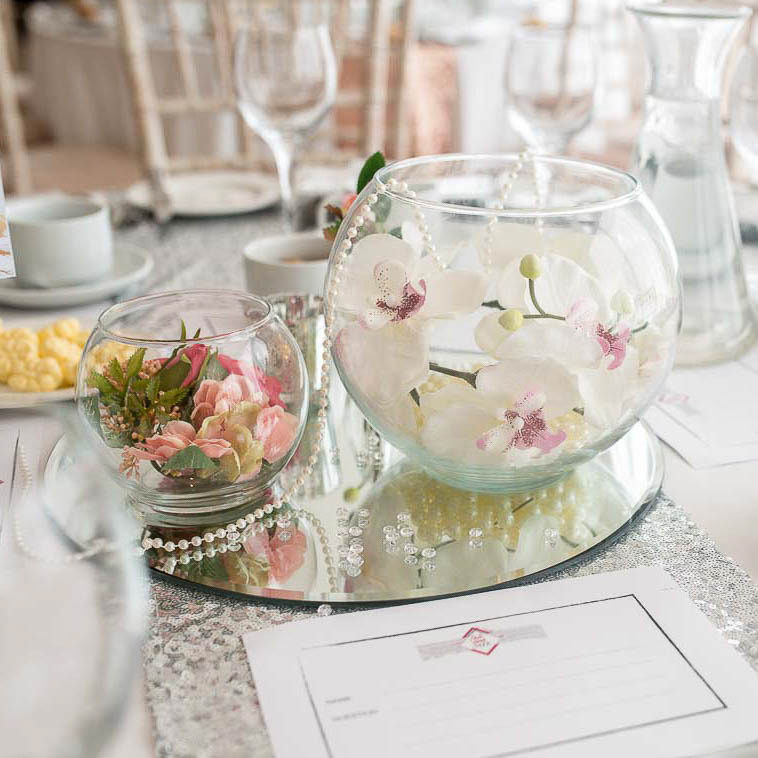 Choose a classic look with candelabras, fishbowls, martini vases or cylinder vases all on mirrored plates scattered with crystals. For a rustic look we have a large selection to choose from, from large rustic wood slices, with a selection of vases, jars and hessian creations. 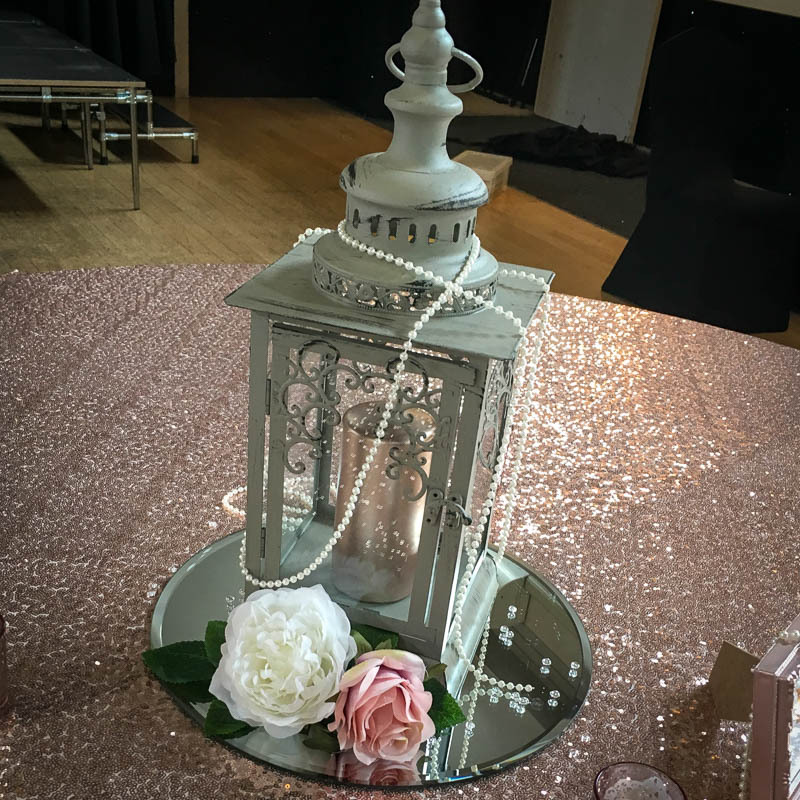 Or choose our vintage lanterns or antique birdcages. 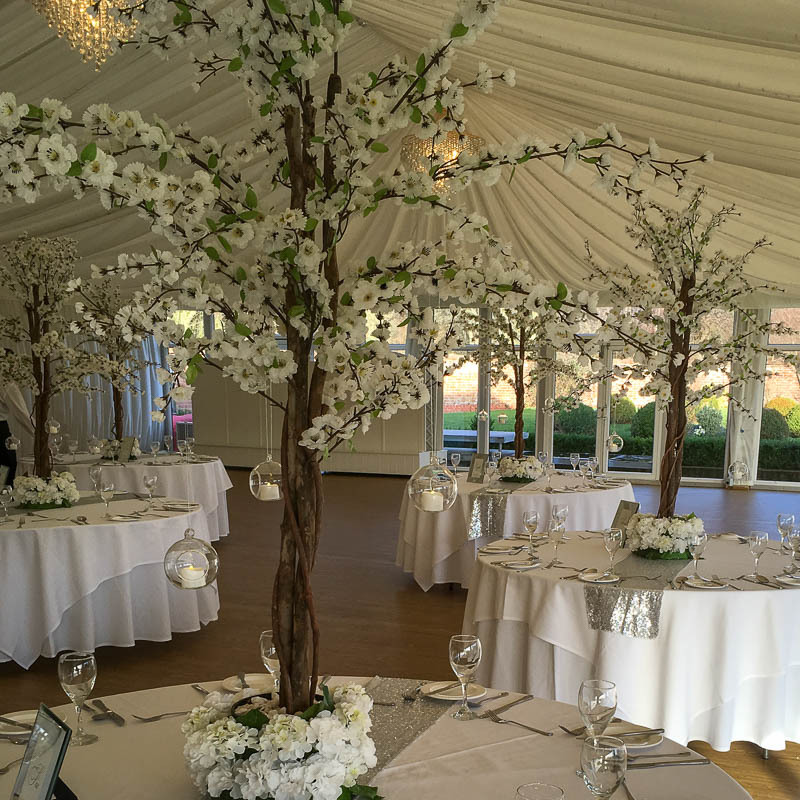 For a beautifully enchanted look choose our 5 ft blossom tree centrepieces. We also have a selection of beautiful crystal candle holders – the list really is endless! 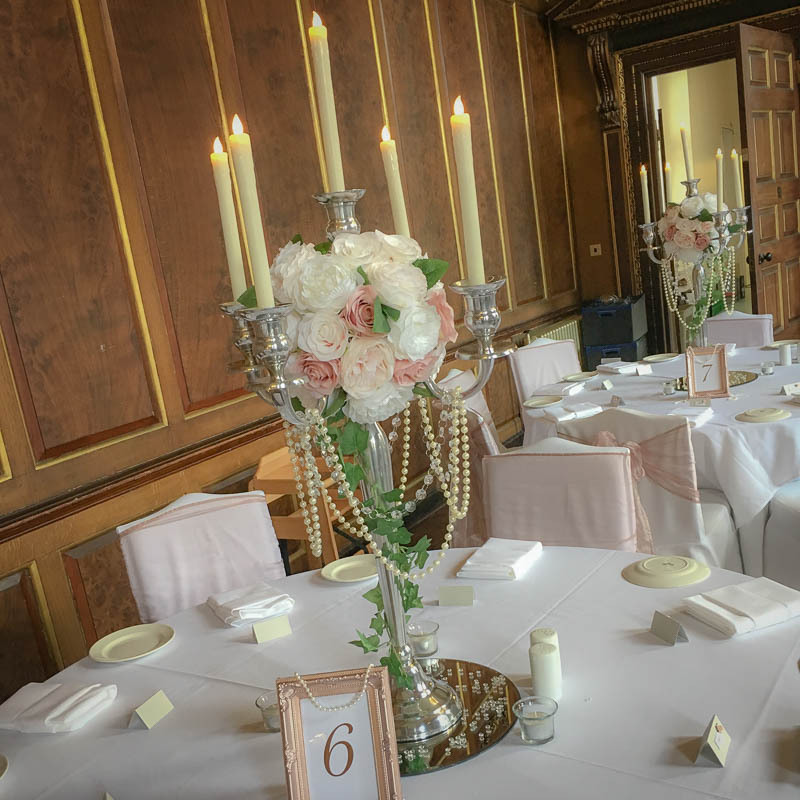 All wedding table centrepieces can be decorated to suit your style and colour palette and can include flower arrangements and candles. 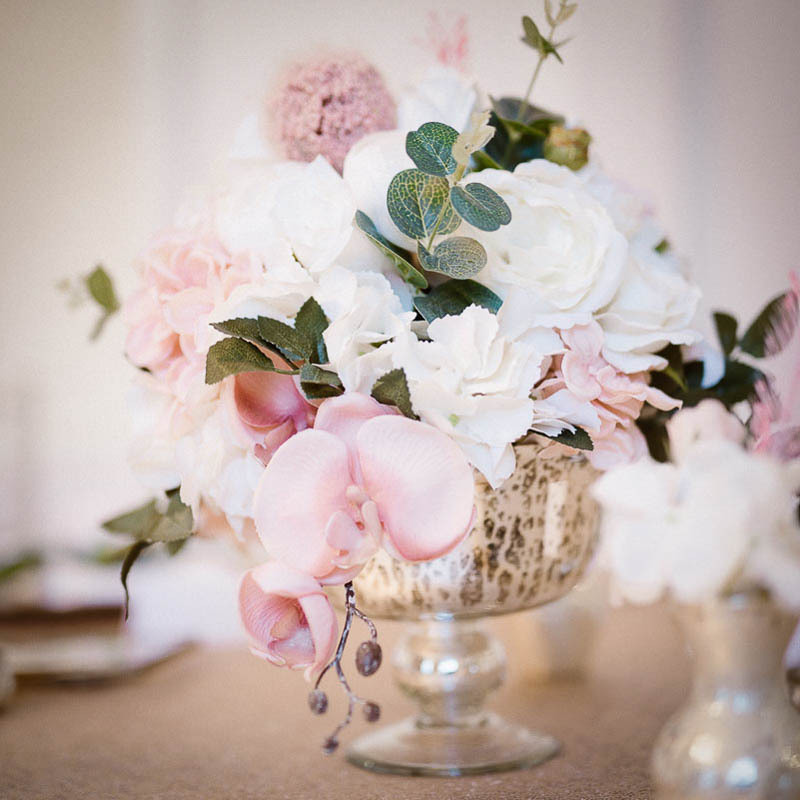 We use high quality silk flowers, accredited by the British Floristry Association. If you wish to have fresh flowers we can work with a trusted florist to complete the perfect combination that suits you. We can dress your top table to tie in with your table decoration, as well as dressing your cake table, and gift tables. Table runners are ideal to bring your theme or colour scheme together. We have many colours available which match our chair sashes. We are fully trained in table swagging to dress your top table and cake table in a beautiful fabric drape. 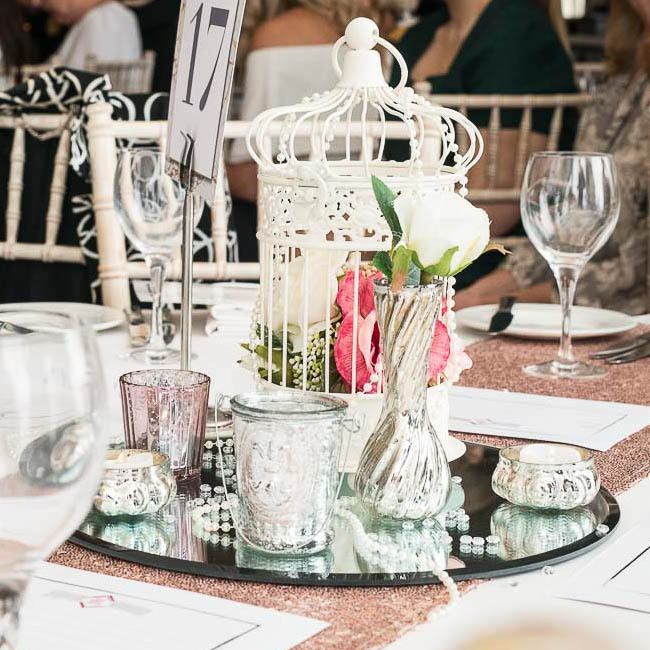 We have a large selection of speciality table linen including our sequin tablecloths, or a large range of colour coordinated napkins to match your colour scheme. Looking for something unique? 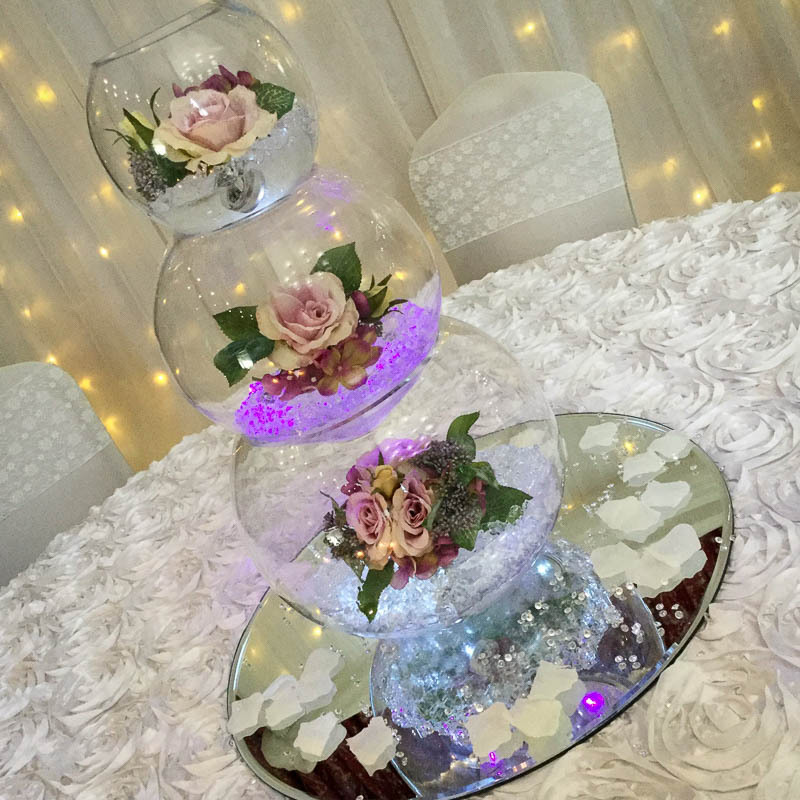 At Elf Occasions, we don’t believe in a one size fits all approach, and are happy to adapt and create a centrepiece that suits your style and personality. Get in touch for more details.